In our last post we looked at the current state of the art in autonomous vehicle navigation. Another way in which the problem of navigation in unmapped or incorrectly mapped areas will be overcome is through artificial intelligence. We looked at the potential of this technology in our 4/10/17 post entitled, “Machine Learning and Work Zones”. 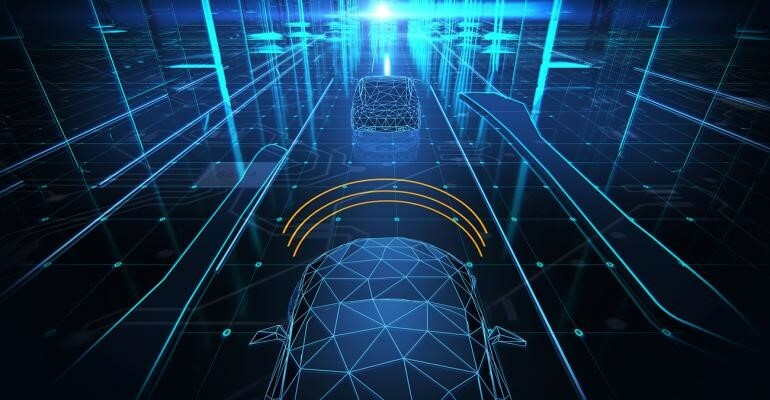 Michael Reser published an article May 8th in Electronic Design entitled, “How AI Will Help Pave the Way to Autonomous Driving”. He goes on to list the many challenges that must also be addressed including how to tie images from multiple sensors with varying resolution quality into one accurate picture. Another was how to validate and tie different data sources together in time. They must have a consistent way of labeling those sources in time. Mr. Reser goes on to say they are not there yet, but he sees the process as inevitable. “For true enablement of Level 4 and Level 5 automated driving, the system should be functional in all weather and driving conditions, which is obviously a given requirement. Still, it’s a much bigger challenge than sometimes mentioned and admitted”. 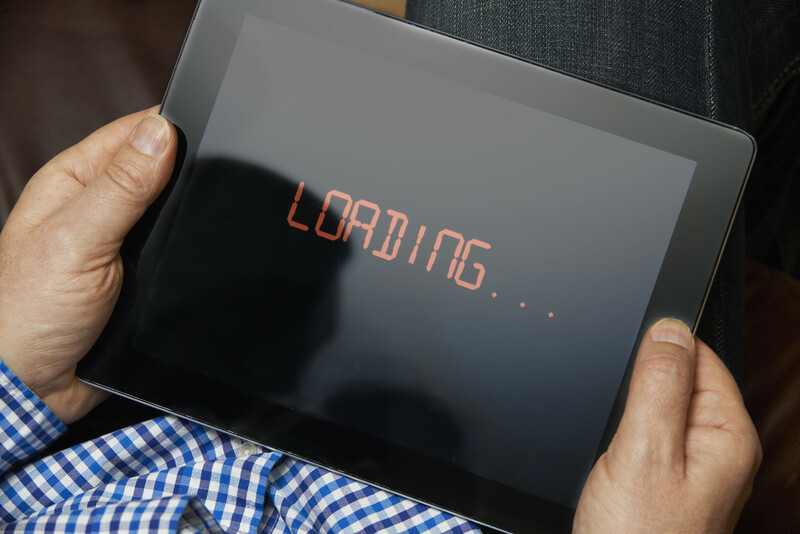 Like most AV challenges, this one has serious implications for work zones. It will be interesting to watch as this process unfolds. 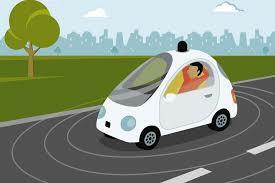 Much has been written about autonomous vehicles and their methods of navigation. But most of that writing is little more than science fiction. The systems described are usually just concepts that engineers are working toward. What is the current state of the art? Certainly, work zones fall into this problem area. And MIT’s new system could address our issues, as well. In particular, by using Google map data this system would also pick up near real-time work zone data like we described in our 9/25/17 post. Then the sensors could identify traffic control devices and follow them safely through the work zone. It is good to see that at least one organization understands the limits of current technology and is looking for a better, safer way for autonomous vehicles to find their way through rural roads and work zones. 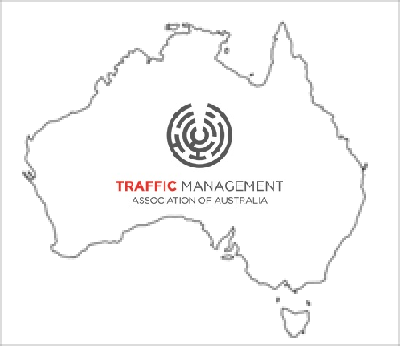 We just returned from a wonderful trip to Australia where we spoke to the Traffic Management Association of Australia (TMAA) about work zone ITS. Their members were all excited and focused on finding safer, more efficient ways to manage their work zones. The program was packed full of interesting speakers and a variety of timely topics. They also gave us all just the right amount of time to discuss those topics between sessions. It was very well run. 1) Speeding in work zones. 3) Hiring, training and retaining good employees. 4) A perception by the driving public that we are there to make their lives miserable. 5) Insufficient funding for maintenance and construction. 6) Changing standards and levels of enforcement from one state to the next. 7) Varying commitment and funding levels from one state to the next. Just like ATSSA, the TMAA brings contractors, manufacturers, academia and government agencies together to discuss these problems and identify solutions. The TMAA does an especially good job of this. We look forward to learning more from them in the years to come! We met recently with a large local agency to discuss the idea of connected work zones and the concept of reporting work zones in real time to the digital maps we all use to get from Point A to Point B. She was excited about the idea but had concerns about delays that are sometimes experienced between the time when an incident occurs and the time when it is reported to you by your navigation app. That was about the time that Google purchased Waze. Waze works because users report problems in real time thus helping to reduce latency. HERE has found another way to reduce latency. They look at in-vehicle sensors such as hard braking sensors to identify and locate traffic issues the moment they begin. HERE also plans to begin including user reports to get as close to real-time reporting as possible. Today, work zones are the single largest cause of non-recurring congestion. So, if we could report work zones in real time (see Work Zone Reporting to Autonomous Vehicles – posted 9/25/18) it will make these services even more valuable. Imagine arrow boards equipped with a device to report location and display status every time it is turned on or off! Yet how will these services process an unimaginable amount of data including location, date & time, type of incident, and some form of verification and get it to the user without at least some delay? That is a problem only Waze or HERE can answer. We can tell you they are working on it. In the meantime, some small amount of latency (a few seconds to as much as a minute) is going to exist. But the service is still valuable. In today’s worst-case scenario Driver A leaves home and asks for the fastest route to work. The app recommends the best one based on conditions at that time. Perhaps moments earlier an arrow board was turned on when a contractor closed a lane along that route for maintenance work. A short time later the app reports that roadwork and reroutes Driver A along a now preferable route. The app still saves him time, just not quite as much time as it might have with instant knowledge of all work zones. Zero latency is the goal. But let’s not allow the perfect to be the enemy of good. On December 7th of 2017 the USDOT convened an interesting group of stakeholders to discuss automated vehicle data needs. The goal was simply to better understand what will be needed, so we can all work in that same direction. Attendees included automakers, regulators, local agencies, privacy advocates, data aggregators including Waze and HERE, universities, and industry. They have published a short document detailing their findings. 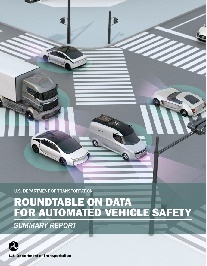 Download “roundtable-data-automated-vehicle-safety-report” here. Promote best practices for data security and privacy. Act as a facilitator to promote voluntary data exchanges. Start out small to find what works and then build on that. Coordinate across modes to save time and money. Number 2 is perhaps the most problematic. Vehicle and component manufacturers are still playing their cards very close to their vests. They will continue to protect whatever competitive advantage they feel they have. They don’t mind sharing what everyone else is sharing but don’t want to go beyond that point for obvious reasons. So, what will be shared will start with basics such as crash data, AV hours driven, etc. and will grow from there. Other encouraging use cases include #2 “Providing Real-Time Road Conditions”. There they discuss the need for data on detours and missing or deficient signs and pavement markings. Under testing discussions, there was an emphasis on safety-critical scenarios which would have to include work zones. Clearly manufacturers must test not just in ideal conditions, but in all conditions including bad weather, poorly delineated work zones, and in and around major and minor incidents. They coined the term “Edge Cases” which refer to a “problem or situation that occurs only at the extreme operating parameter.” Certainly, most testing today will continue at or below 35 MPH on a sunny day and under controlled conditions. But once we are all satisfied that AVs can drive safety in ideal conditions, it will be time for the worst-case scenarios. Again, work zones will surely be a part of that. Under “proposed federal roles” they talk about the USDOT acting as a facilitator of sharing and discussions between the various stakeholders. It’s good to know work zones are now a part of that discussion. Thank you to USDOT for helping make that happen. Our greatest fear just a few short years ago was that the automotive industry would get too far down the road with their development to accommodate special circumstances including work zones, special events and incident response. It’s great to see that won’t be the case. On February 6th we sat in on a FHWA T3 webinar entitled “Are Autonomous Vehicles Safe?” It was moderated by Dr. Francesca Favaro of San Jose State’s Mineta Transportation Institute. She runs a program known as RISA2S – “Risk & Safety Assessment of Autonomous Systems” and recently examined California DMV data from 2014 through 2016 on crashes and disengagements of automated vehicles. Because their data is from automated vehicles on the road today, their focus has been on SAE Level 3 automation. That is, by and large, what is being tested now. Most manufacturers are not planning to offer Level 3 vehicles to the general public. But as a result their findings point out the strengths and weaknesses of Level 3 automation. So for that reason most of their presentation came to focus on disengagements – when the vehicle gives control back to the driver – and driver reaction time to those disengagements. So the two related issues of when AVs disengage control, and how drivers react to those disengagements will be an important point of discussion for the foreseeable future. Their data on disengagements was very interesting. The frequency of disengagements is declining. In fact in 2016 they were one-third of what they were per mile travelled in 2014. So the technology is improving rapidly. Machine learning will continue that trend. 11% of all disengagements were due to external conditions. 49% were due to system failures of some kind. 33% were due to human factors. And 7% to “other”. Work zones fall within external conditions. 2.22% of all disengagements were due to construction zones and 4.63% were due to poorly marked lanes. Now, we don’t know much about the conditions when and where this testing took place. Speeds were all at or below 30 MPH. But we don’t know if it was dry and sunny, or raining at night. And we don’t know if the time spent in work zones was typical of your average driver. Chances are they were not. In fact, chances are current testing avoids work zones most of the time so disengagements in real-world work zones would likely be many times greater. 30.12% of disengagements are due to human factors – usually driver discomfort. Some of that is a trust issue with the technology. But a large part is a desire to stay safe in fast changing situations such as near incidents, work zones, or other higher volume conditions. So I think we need to include some of that data as well. Next let’s consider driver reaction to these disengagements. This is really two issues: what the driver does, and how fast he or she does it. But the study looked only at driver reaction time. The California DMV has not yet defined what is meant by “reaction time” yet manufacturers are required to measure it. So the data presented is inconsistent in its terminology. With that in mind it is still interesting and helps point the way for future studies. This testing was done in driving simulators. Subjects reaction times varied from 0.87 seconds to as much as 3.17 seconds. Again, that is in a simulator when the test subject was told to expect something. Other studies have shown mean reaction times of 2 seconds or more. Let’s use the 2 second number, though it may be much higher. At 65 MPH a vehicle would travel nearly 200 feet in that time. A lot can happen in 200 feet when approaching or adjacent to a work zone. So clearly disengagements should occur in advance of the work zone giving drivers time to acclimate themselves to the situation around them. For the next 20+ years many of the vehicles passing through work zones will turn control over to the driver. So rather than try to deal with those within the confines of the work zone, lets’ just automatically turn control over to drivers before they enter it. That will provide a more predictable hand-off in a safer environment. This study was just their first attempt. As more data is collected and as terminology becomes better defined and as testing ventures into more “real world” scenarios, we will learn much more. We look forward to future reports from RISA2S and other AV research organizations. Late last year a paper was published entitled, “A Low-Cost Mobile Proximity Warning System in Highway Work Zones” by Yong Cho of the Georgia Institute of Technology. It was funded by the NCHRP IDEA program. IDEA or Innovations Deserving Exploratory Analysis is intended to develop and test new, innovative concepts and this paper did just that. This system is designed to protect workers from moving construction equipment in the work area. Too often we hear about workers killed or injured by a truck or roller backing up or by an excavator swinging around to drop a shovel full of dirt or rock. The system includes three main components: BlueTooth beacons mounted at various locations on the construction equipment; a pedestrian worker’s PPU or personal protection unit; and the equipment operators PPU. These PPU’s are BlueTooth enabled smart phones with an application designed to “see” the beacons and warn the workers – both the equipment operator and the pedestrian worker when someone is dangerously close to equipment. The PPU warns the pedestrian worker in one or more user-defined ways: a loud alarm, vibration, or even via a BlueTooth ear piece. They type of warning varies with distance from the equipment. The worker can also define the range at which they are warned since the definition of “too close” will vary with the work being done. Another interesting feature is the ability of the system to collect data in the cloud for later analysis. It would be a big help when going back to study a close call. And it would help with future internal traffic control plan design for similar types of work. Best of all, it is very inexpensive costing less than $200 assuming the workers already own smart phones. Tests showed the system worked. The workers who used it, liked it. And they appreciated that the PPU can be worn in a variety of locations and warn them in whichever way they prefer. It was suggested this system be integrated with an intrusion alarm system to offer even more protection.